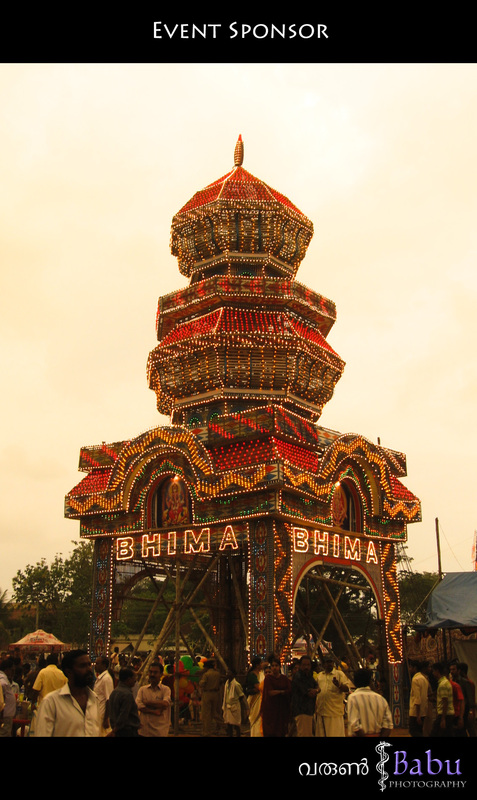 When it comes to Pooram, the name that pops up in any Malayali’s head is Thrissur Pooram. 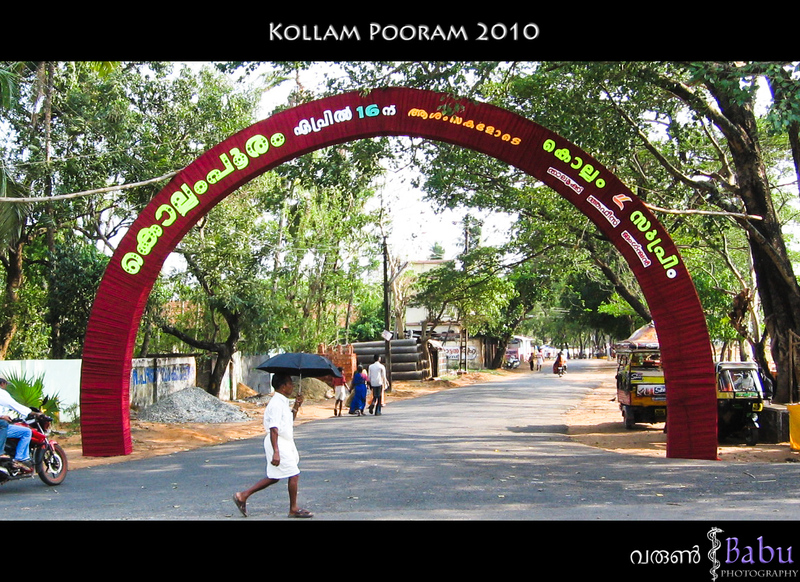 Well Kollam Pooram is the equivalent of it in South Kerala. I was able to attend it the last couple of years and been yearning to blog on it. A half day holiday is usually given for all schools and offices the day following Vishu, the Malayalam New Year [mid April]. 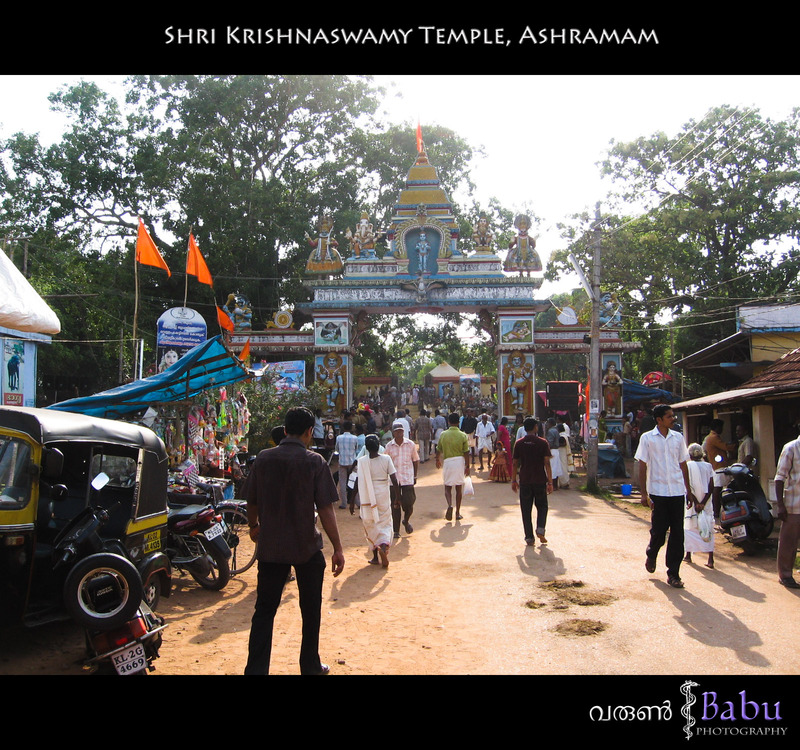 The whole event occurs at the Ashramam ground, in sync with the annual festival of Shri Krishna Swamy Temple. 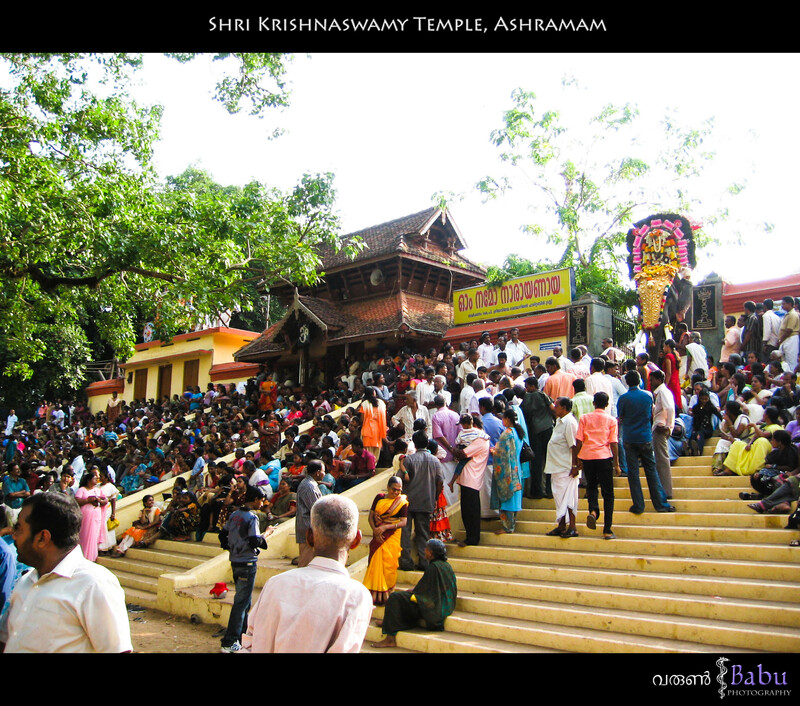 Around 15 temples in and around the city take part – Anandawalleshwaram, Puthupally Madaswamy, Asramam Sree Maryamman, Pattathanam Sree Subramanya Swamy, Kadappakada Sree Dharma Sastha, Thumbara, Erattakulangara, Sree Sankarakumarapuram, Uliyakovil Kannamathu, , Kollurvila Bharanikavu Koikkal, Uliyakovil Sree Durga, Sree Narayanapuram Subramaniyam, Thiruvadivattam and Chekodu. 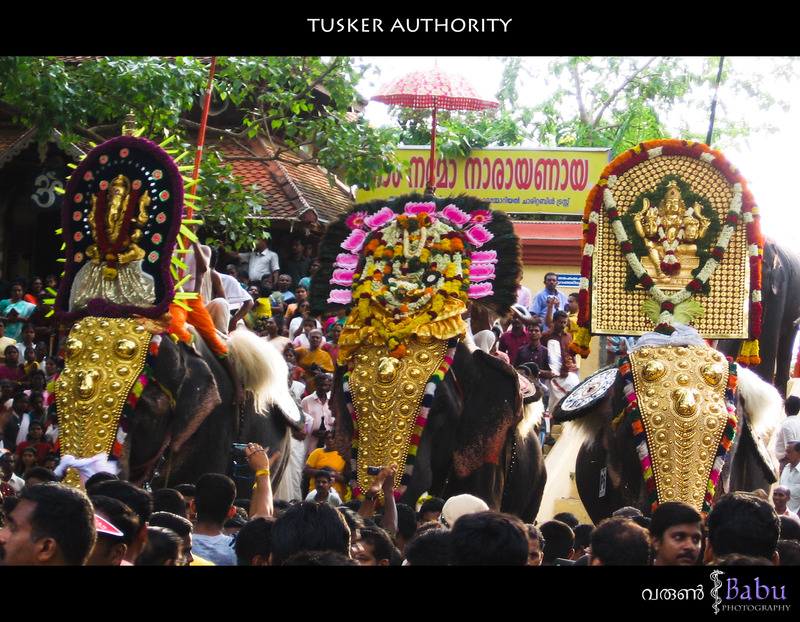 The tuskers from these temples set out early in the morning to participate in the pooram. On an average around 50-60 elephants take part ranging from the little ones, to the old tuskers. All the tuskers are then bathed and readied. 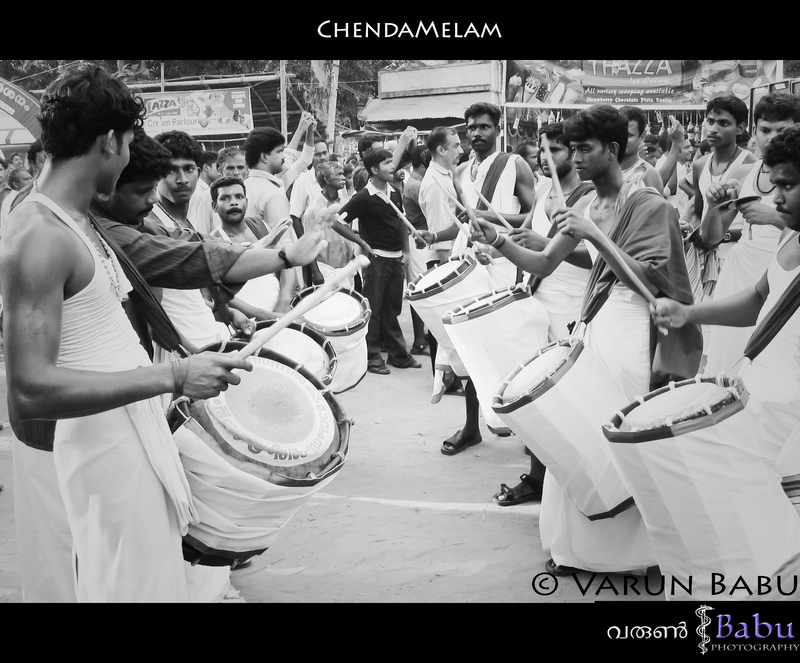 Following the melam, the tuskers are dispersed, except the two teams participating in Kudamaatam. 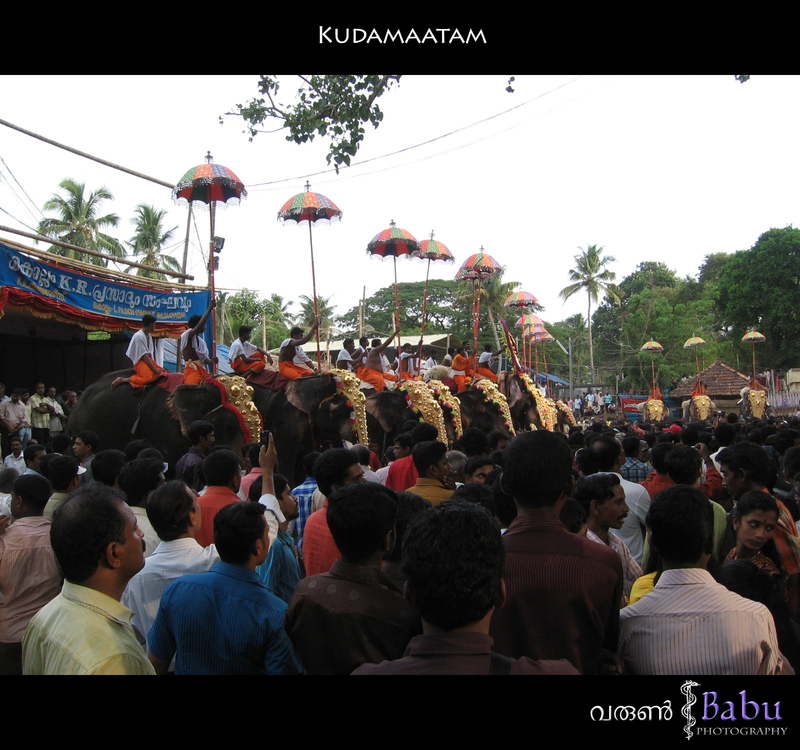 Invariably the two teams come from Thamarakulam Maha Ganapathy temple and Puthiyakavu Shri MahaBhagavathy temple. 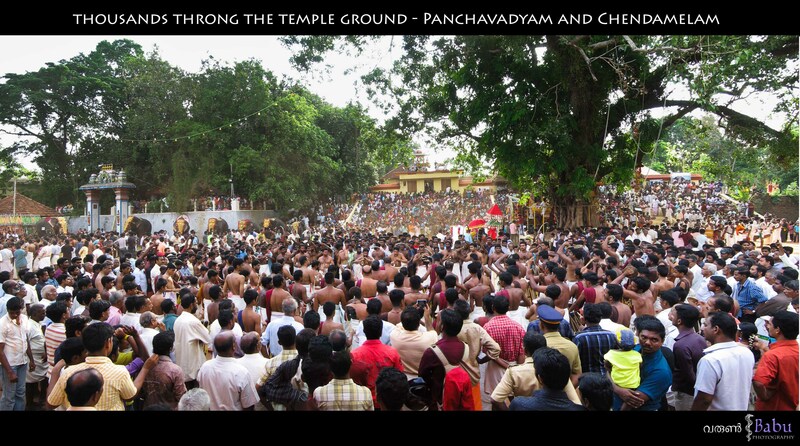 The two teams are then paraded to the Ashramam ground where the eminent guests [Ministers] will officially kickstart the pooram celebrations. The two teams display a multitude of umbrellas one after the other, and the team with the better innovation wins. As we always religiously wait indefinitely for the arrival of the ‘Guests’, a multitude of eats, fun toys, balloons and objects of interest will keep us occupied till the event kicks off. 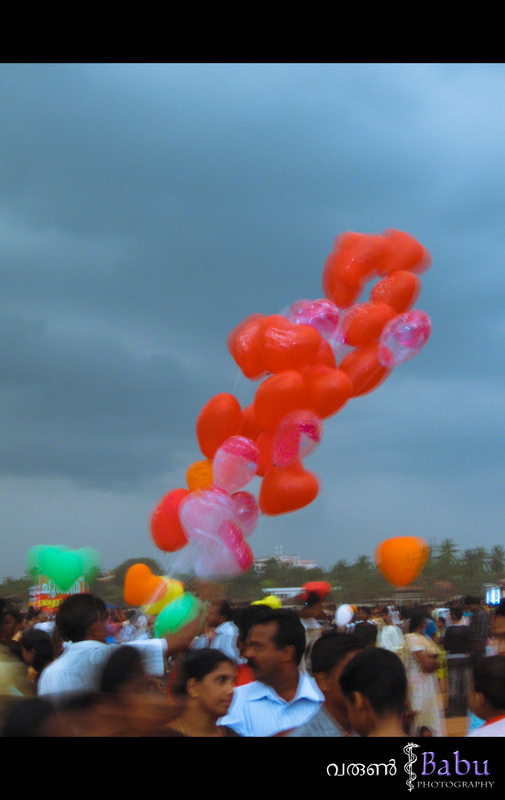 Thousands of people crowd up the entire Asramam ground on the day to be a part of the big event. The kudamaatam is followed by a 30min long fireworks, which, well hasn’t impressed me as much [I have seen better ones at my college campus, but then Manipal is Manipal]. The evening is further lit up by the presence of some wonderful stage programmes by movie|tele artists to wind up a wonderful day of celebrating the start of a year. I plan to blog in detail of the events this year hopefully if I get time to attend it.